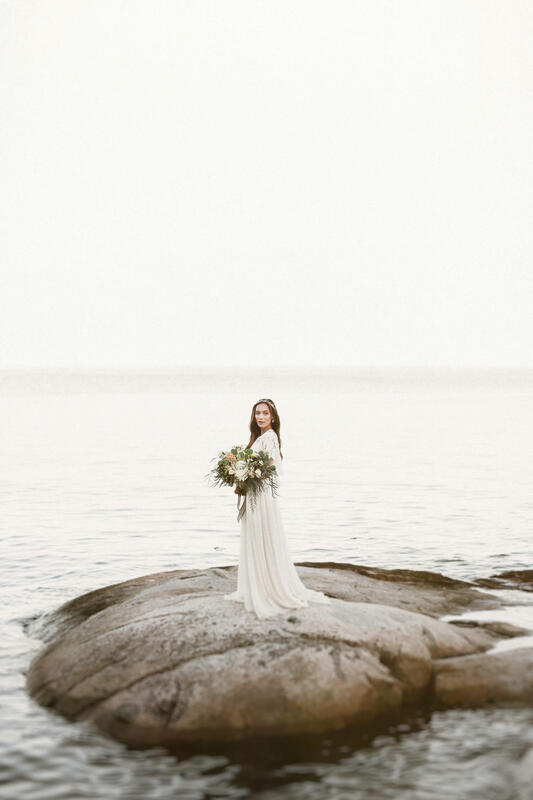 I’m completely in love with the Canadian West Coast natural environment, neutral color, and organic decor. 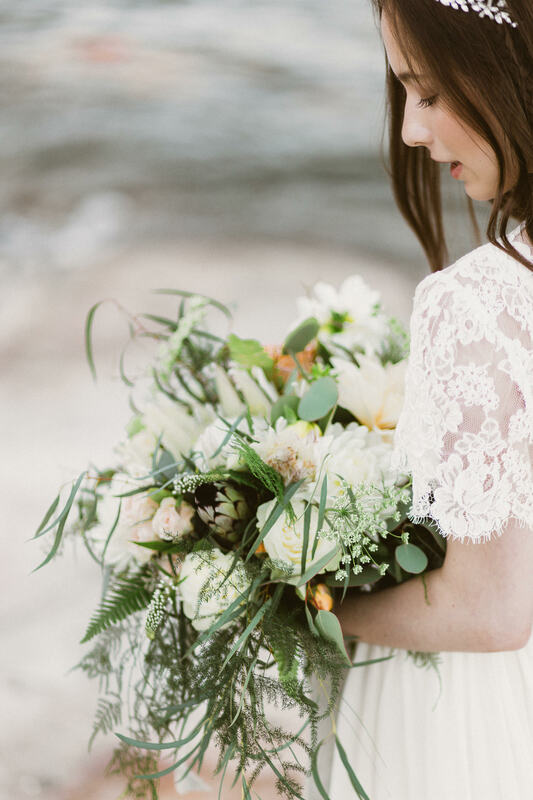 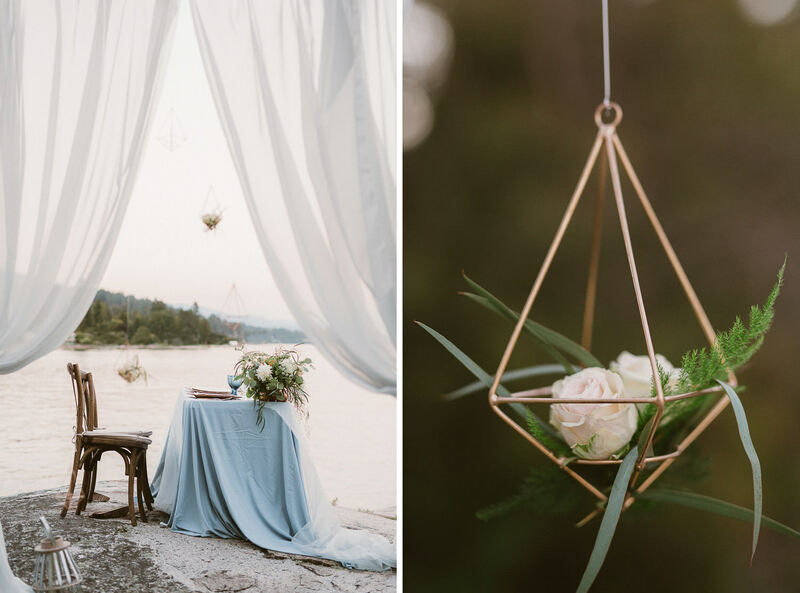 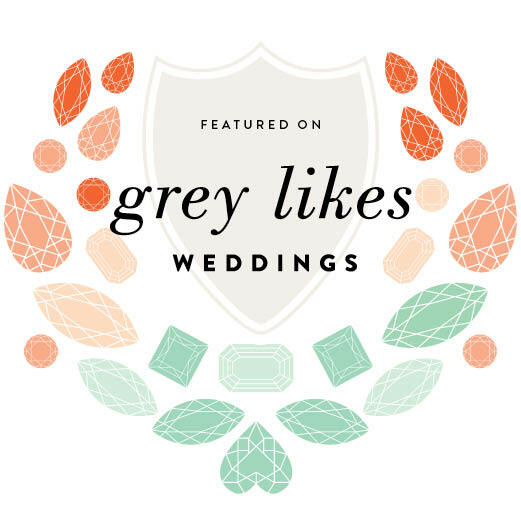 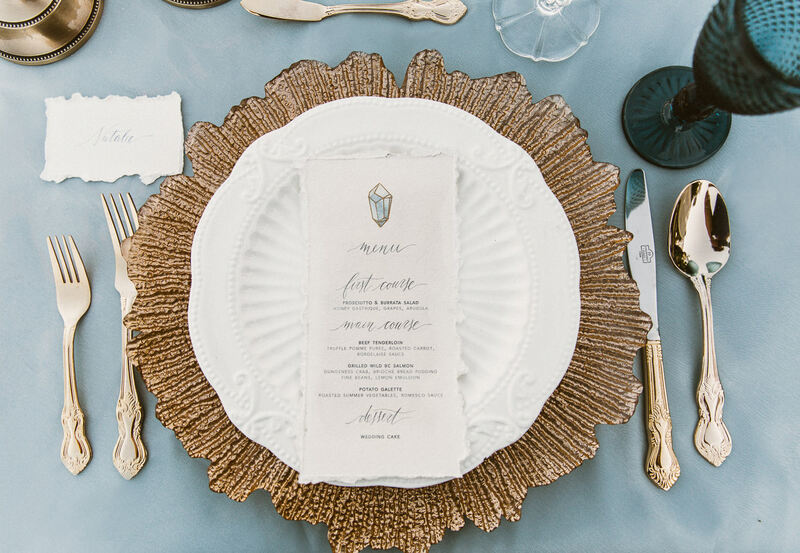 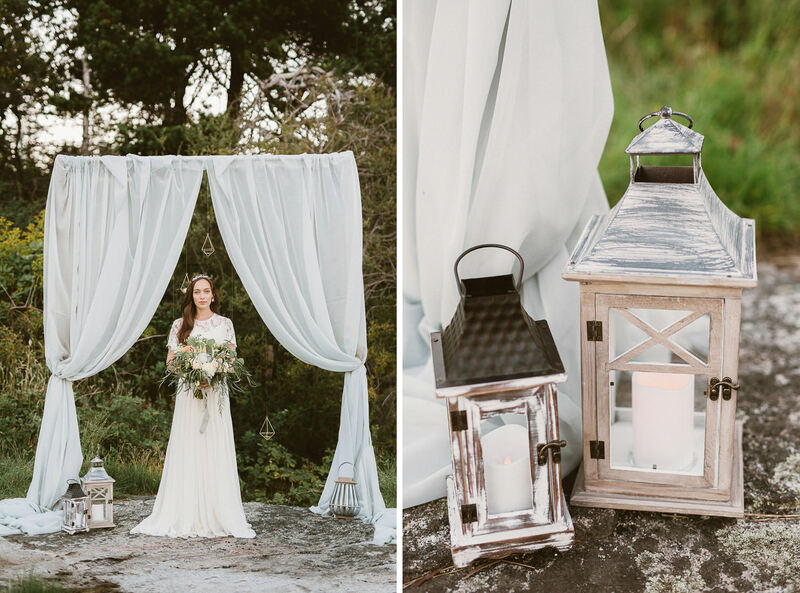 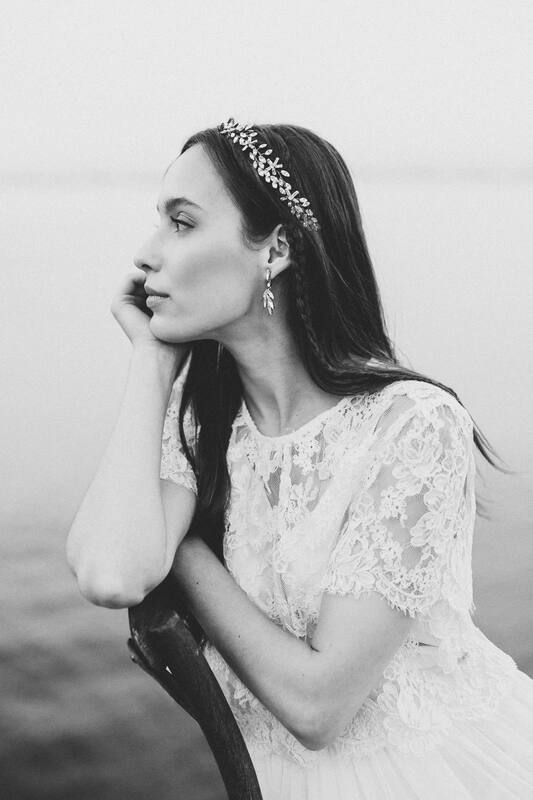 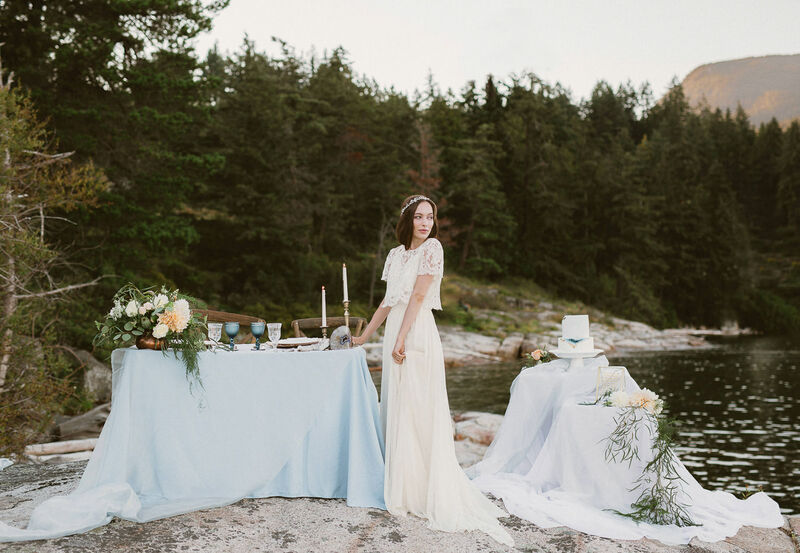 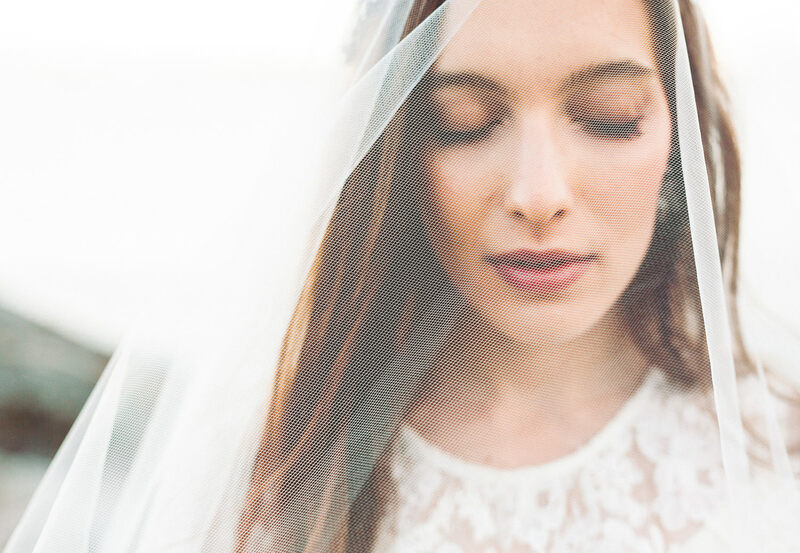 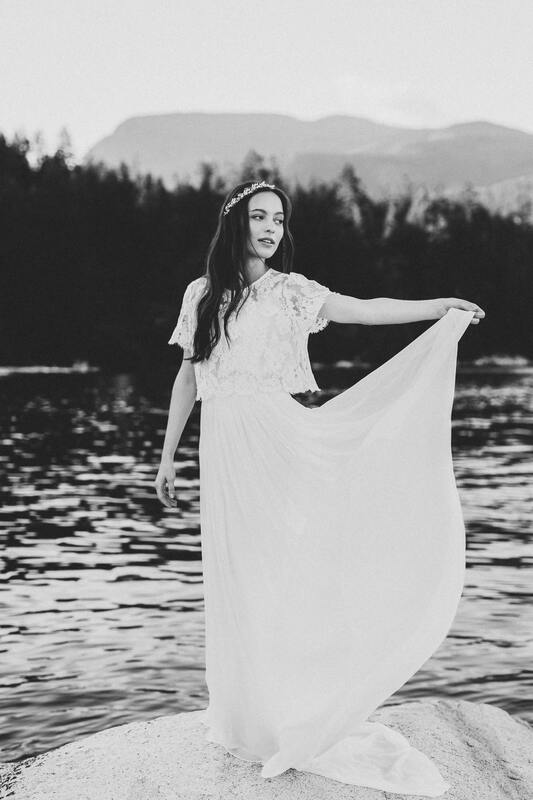 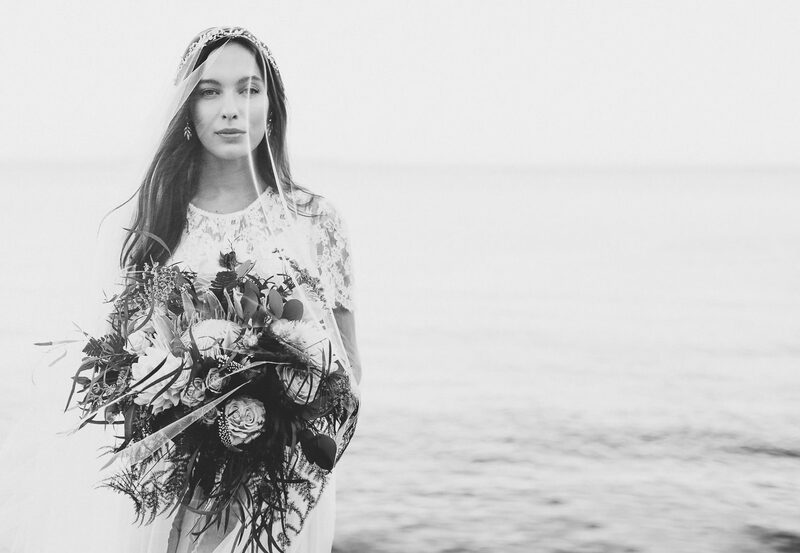 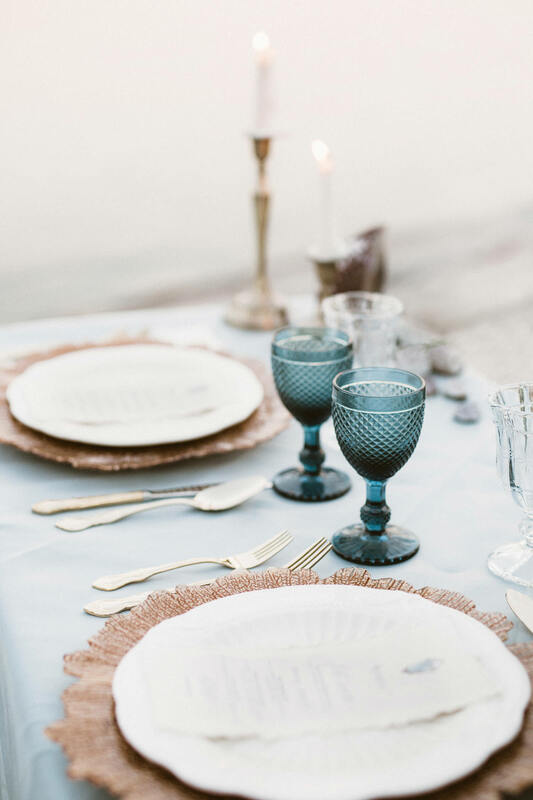 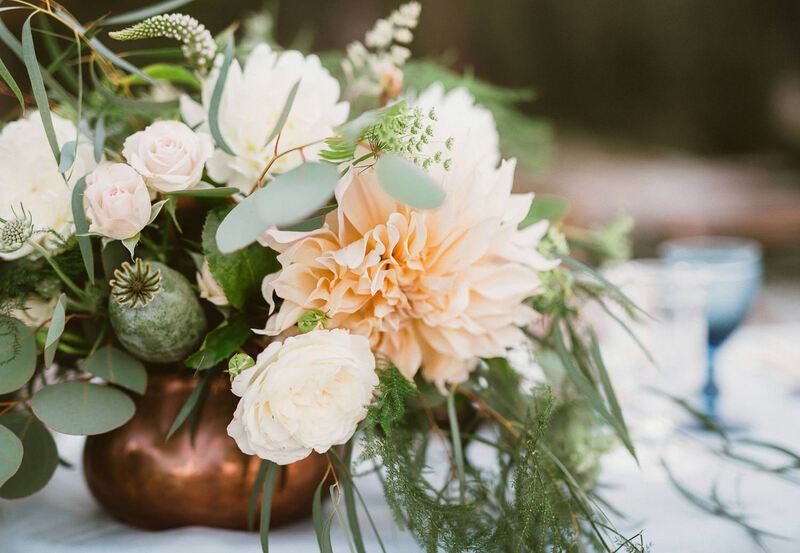 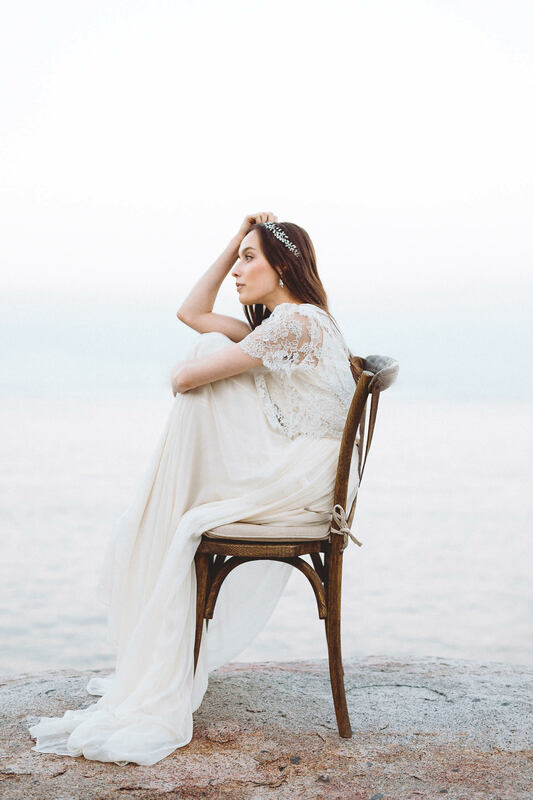 In this case, quartz and gemstone were my inspiration for this ethereal boho wedding inspiration styled together with the uber talented Sarah Liu of Taffete Design. 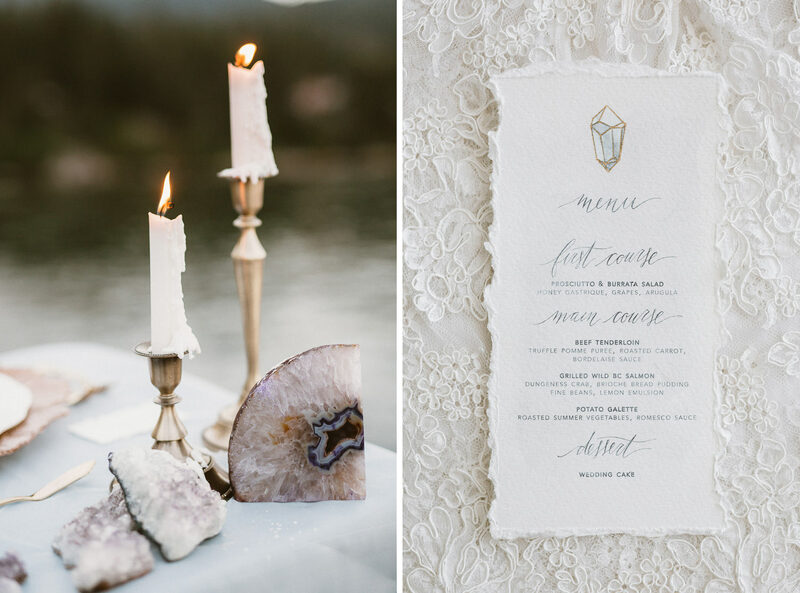 We love the idea of incorporating crystal, geodes, and geometric shapes to encompass a clean and modern design and hint at something chic and bohemian. 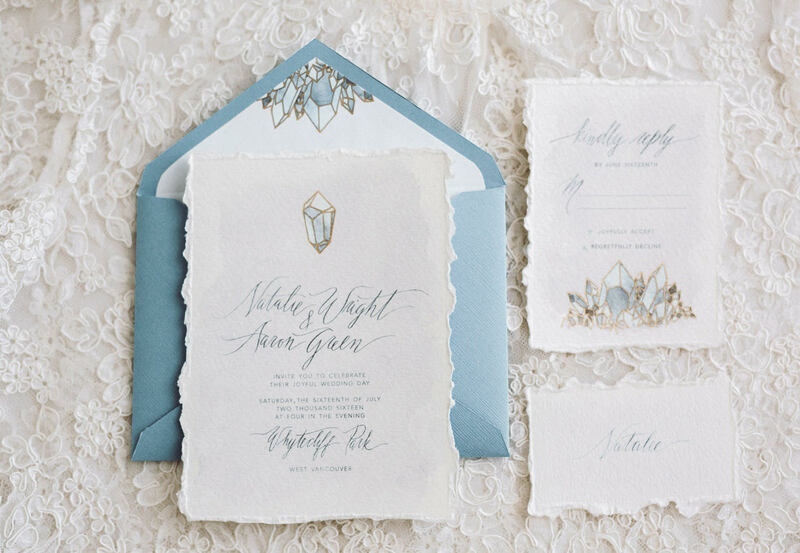 We combined soft and neutral gem colors with more geometrical shape elements and a touch of gold in the set up facing the ocean. 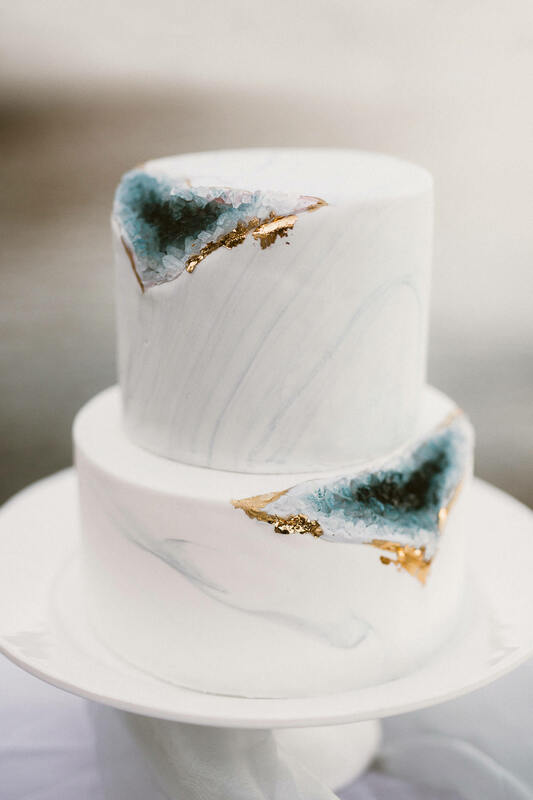 Our wedding cake was a small piece of “crystal” art made by the amazing Momo of Momo Chen Cakes. 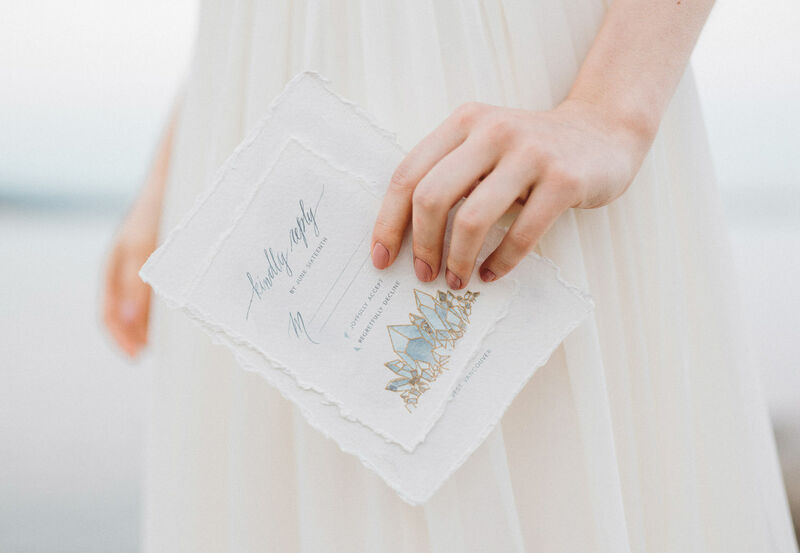 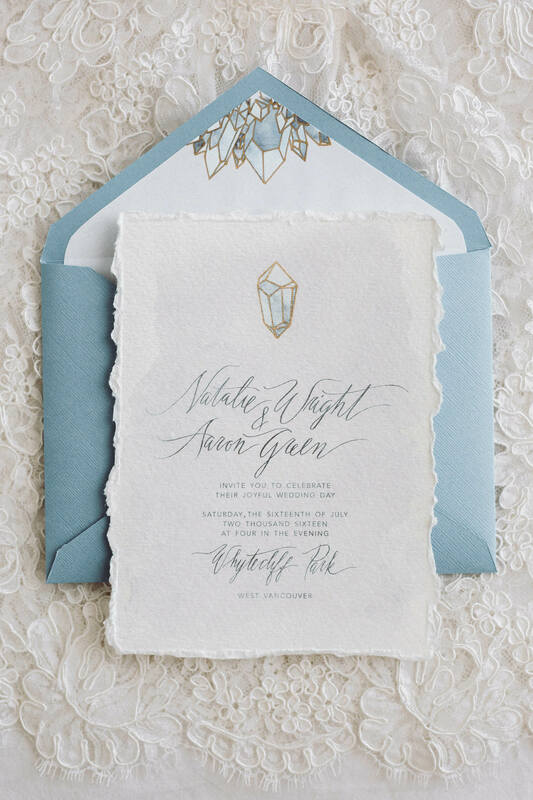 I personally designed the invitation suite with calligraphy and watercolor illustrations printed on handmade paper. 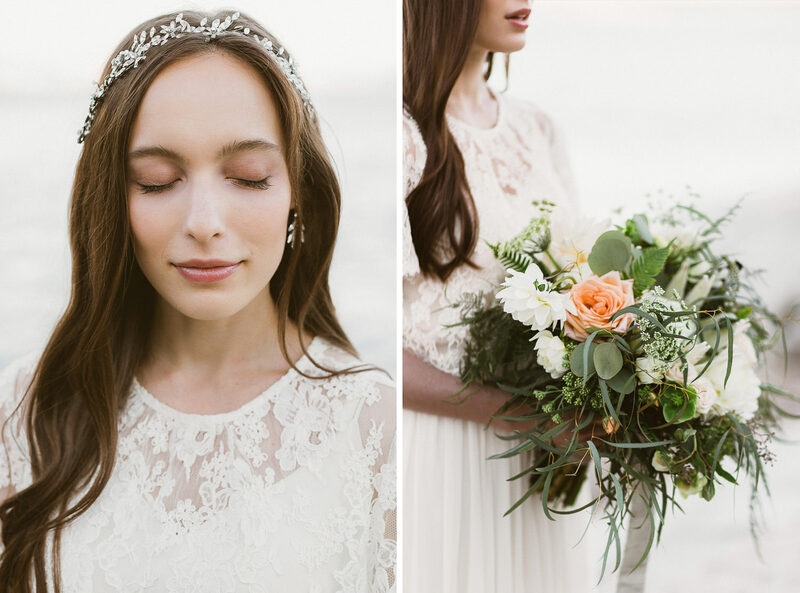 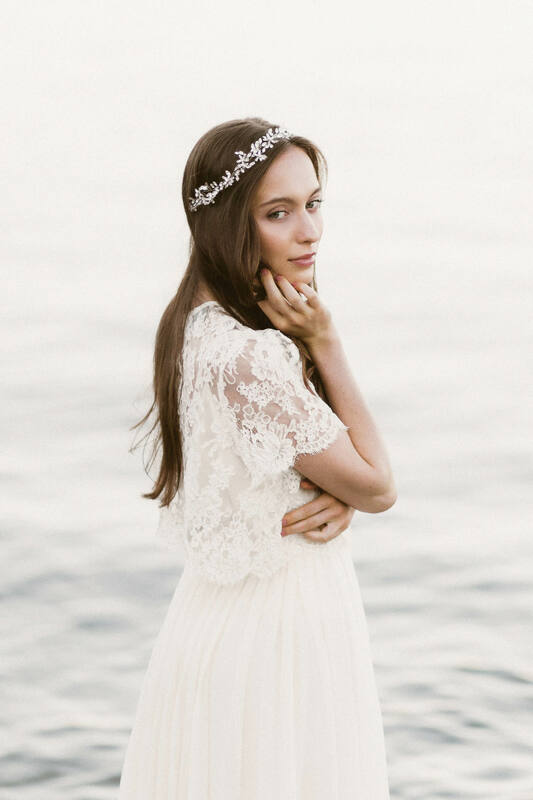 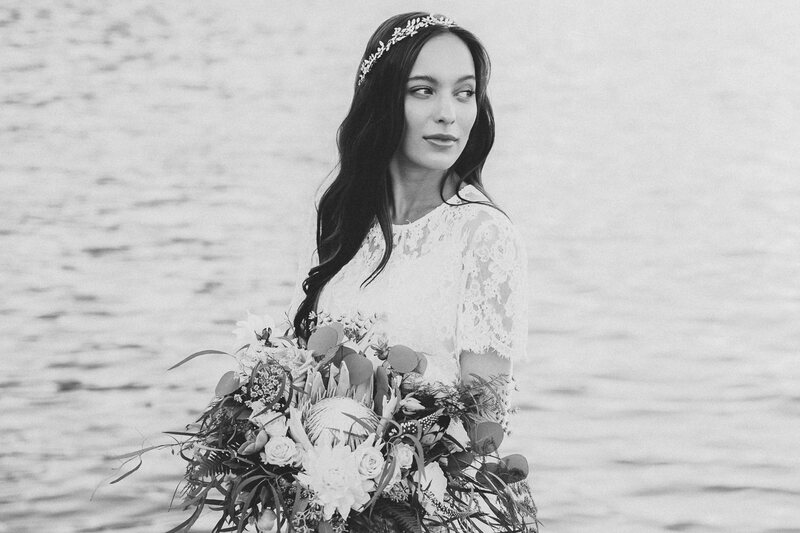 Our stunning bride is wearing a beautiful Alexandra Grecco two-pieces gown with delicate lace bodice and chiffon skirt paired with nature-inspired jewelry and veil from The Borrowed Collection. 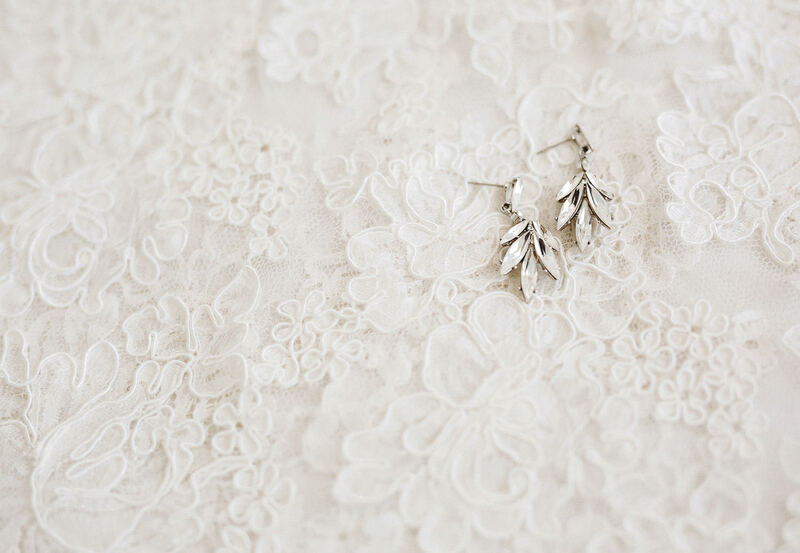 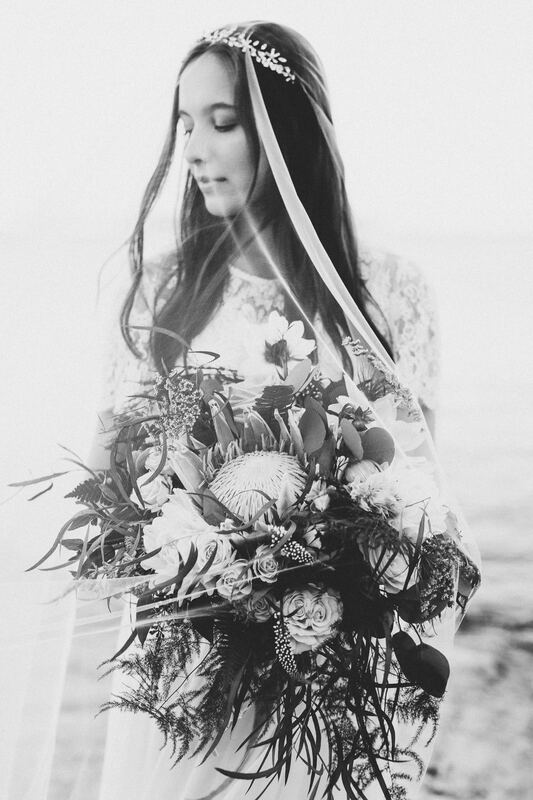 And what about those jaw- dropping wild florals from Special Moments Flowers?